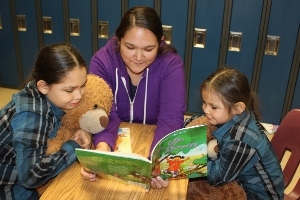 Saskatchewan Reads is based on current research in learning to read and teaching reading. The following overarching principles guided the work of this document (Saskatchewan Education, 2002; Manitoba Education, 2004; Ontario Ministry of Education, 2003). All students have the capacity to learn to read and understand the process readers use to understand, reflect, and connect reading to their daily lives. Teachers need to show students that they believe in the students’ potential as readers. By building self-confidence and self-acceptance, teachers can help students gain a sense of confidence and capability. The teacher is essential in a student’s success in learning to read. It is essential for teachers to engage students in reading and promote a love of reading. Ongoing formative assessment is used to guide instruction. It is important to provide authentic reading time with quality reading material that incorporates a balance of teacher and student selected texts to allow for choice, voice, level, and interest. Teachers need to be aware of and respond to the developmental level of each student. By recognizing where students are as language learners, teachers can provide responsive instruction and experiences that will build upon what students know and can do. As reflective and responsive practitioners, teachers use their knowledge of students, the curriculum, and language development to guide decisions about classroom instruction. Teachers learn about the effectiveness of their teaching when they reflect on the results of learning opportunities and consider possible adaptations to help students achieve curriculum expectations. Teachers are culturally and linguistically responsive to the needs of their students. Teachers fulfill the curricular expectations to infuse Métis and First Nations content, perspectives, values, and lessons. 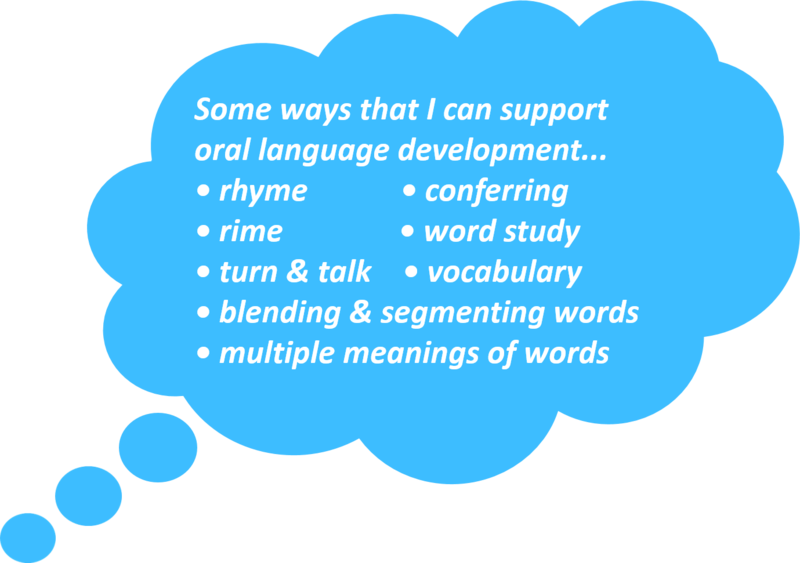 Oral language is the foundation of literacy. Oral language is the foundation of literacy, which builds on listening and speaking skills. Language and literacy have a reciprocal relationship. Through listening and speaking, people communicate thoughts, feelings, experiences, information, and opinions, and learn to understand themselves and others. Students use oral language to learn, solve problems, and reach goals. To become discerning, lifelong learners, students need to develop fluency and confidence in their oral language abilities. Oral language carries a community’s stories, values, beliefs, and traditions. Balance is important in reading instruction. An integrated English language arts program provides balance in all of the language strands (listening, viewing, reading, speaking, representing, and writing). Effective instruction utilizes an appropriate balance of learning to read (skills/decoding) and reading to learn (meaning making). Reading skills (phonemic awareness, phonics, fluency, vocabulary, and comprehension) are taught intentionally in context and not in isolation. Family and community are critical partners in a student’s reading success. Families are a students’ first teacher. Learning to read happens at home and at school. further engagement in reading, better fluency, and higher comprehension. It is important for schools and families to identify and utilize groups and community partners that support literacy development. Schools should promote an appreciation of the cultural values and heritages of all members of the school community.